Leica cameras, lenses, accessories and sales literature are collectibles for enthusiasts. 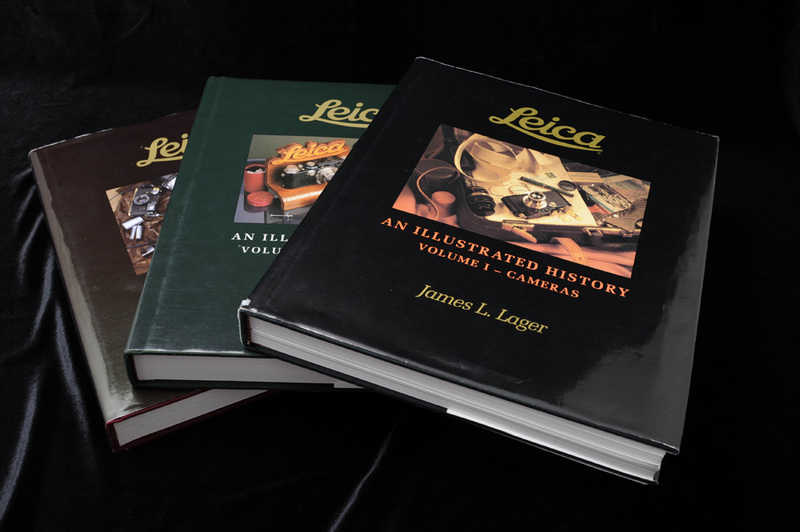 There are dozens of Leica books and collector’s guides, notably the 3 volume Leica, An Illustrated History by James L. Lager. Illustrate early or rare cameras and accessories. Volume I –CAMERAS, covers in details every known model and variant produced by Leitz. There are over 970 photographs. Beginning with the prototype ‘Ur’ Leica in 1913, and the ‘O’ series of 1923/24, all the production models from 1925 to the M’s & R’s produced today. Volume II –LENSES, includes many never seen photos and covers all lenses produced by Leitz from the introduction of Leica I Anastigmat in 1925 and the long list of screw mount lenses, through the M and the R optics, to the very latest developments. Many non-production lenses are also included. Provide enthusiasts with a clearly delineated and beautifully printed pictorial essay on the history of the superb optics from Leitz. Volume III –ACCESSORIES, illustrates entire spectrum of Leitz (and some non Leitz) accessories produced since the mid 1920s, starting with the earliest accessories: rangefinders and viewfinders. The illustration includes production and experimental items. James L. Lager. Leica AN ILLUSTRATED HISTORY VOLUME I/II/III. Lager Limited Editions, 1998.